There is just something unique about boys. who will soon be MEN. Boys are unique. They are different. They are hard for me to understand. They do the exact opposite of what I think they would do. Oh and did I mention SO MUCH MORE OF MY PATIENCE? There. Okay. Got it all out. But really……Raising boys is tough. Raising boys to be REAL men, is even harder. There is something for Boy-Mom’s of all ages and stages, dealing with topics such as: Virtues, Heroes, Leadership, Competition, Violence, Stewardship, Responsibility and more! Wow! What a reminder to teach the “full character of Christ” and to learn the fear of the Lord! How Awesome is He, and every knee shall bow. There is none stronger, none wiser and non more exalted then He. He is the ULTIMATE HERO and should be taught to boys as such! There is even a chapter on homeschooling! While your there, be sure to check out all of Timberdoodles “Boy Friendly” Toys! 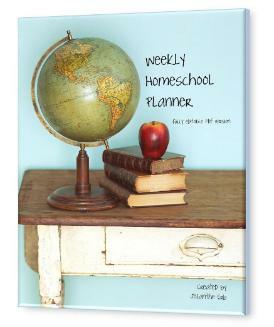 They have TONS of fun goodies and homeschool resources that you’re boys are sure to love! Disclaimer: As a member of Timberdoodle’s Blogger Review Team I received a free copy of Raising Real Men in exchange for a frank and unbiased review. We love using Speekee, and you will too! Sign up for a FREE Two week trial to try them out! 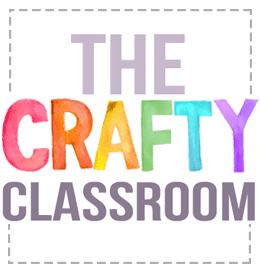 And I want to say a special THANK YOU to everyone for sharing a link to The Crafty Classroom! I cannot believe that it is JUNE already!!! It’s really for lack of trying. I’m sure that day is coming soon. I’ve got my Super Women leotard in the closet on standby. and share my experience with you too! I’ll be reviewing an amazing product for Timberdoodle! and my kids won’t give it back to me. It’s super fun, educational, and all my children love it. I hope to get those up shortly. We’ll be wrapping up the second CD of Seeds family worship music. Other then that, I hope to relax a bit, and start Pinning. I often PIN at night…. when I’m hungry for chocolate…and reminiscing about my sewing machine. really working hard on learning and understanding Place Value. what I was talking about with all this “Hundred, Tens, Ones” talk. Thousands, Ten Thousands….maybe even Millions! and I’m quite pleased with the results! I’m surprised at how quickly they picked up on it! as once you play a number you can’t move it. I had my children read the “Place” they were putting each number, then at the end of the game they read their entire number to see who was the winner. even realize they were learning. you too can feel this way! NOTE: If you like “everyone wins” games, just print one board and work together as a team, write down each number you make and try to beat the last one! throughout her blog too….puff ball magnets being just one of many! “Everything goes into my mouth” stage. That is a real stage….Dr. Spock Says So. just sent me over the edge! because they will be so handy for Sissy and Bubba too! So I followed her tutorial, using a Glue Gun because I too, am completely impatient. They turned out wonderfully didn’t they! Then I printed out Mama Jenn’s Crown Grid game, and wrote each number 1-9 on the crowns three times each. There were three squares left over so I wrote 8, 2, 10 on each of them. Then I slid the game into a page protector, and covered up the numbers with the Pom-pom’s. The kids loved playing this game today, and we’re looking forward to more grid games! What Fun! Thanks Mama Jenn! Today we have a special visitor!! and he has quickly become my children’s favorite T.V character. For the past month we have welcomed Speekee into our home not only to entertain us, but to teach us Spanish as well. So I’m learning from Speekee as we go too. For some reason Speekee reminds me of E.T. Whatever he is, my kids LOVE him! enjoys the episodes and looks forward to them. we made sock puppets to use alongside our lessons. The boy named his puppet Gerpoke. Anyway, we have been using our sock puppets to repeat after Speekee, and to work on new words we are learning with each lesson. Another aspect I really appreciate is the fact that all of the videos are presented alongside corresponding worksheets and suggested activities. There is like zero planning time needed, you just log on to the video you want and you can print from the same screen as your kiddos are watching. The worksheets have really helped to solidify what my kids are learning from the videos, and help me to know what to focus on throughout the week. I think Speekee is a fantastic program , and so far it’s been a great fit for our family. You can subscribe to Speekee for a monthly fee, or purchase the 10 DVD set. They even have a School license which gives you access to a two-year scheme of work! I’m secretly oogling over this and considering it as part of our budget next year. I received a free online subscription to Speekee.com for my honest opinion of the product. First I’d like to welcome our newest sponsor: Speekee! you can try out Speekee FREE for two weeks here. I’ve also got some more Homeschool Recon to share! (I hope you’re not tired of me posting the new things we’ve been doing around here). I’d like to cover Geography and Language Arts because I’m absolutely in love with our newest programs! And alongside Language Arts I have a few Writing Prompt printables that I’m working on as well. Sissy is needing a bit more practice in the “writing” area, so I’m hoping these writing guides are going to help her develop her skills. by Jolanthe! Stay tuned for a review of this as well! I’ll also be guest posting at Kiboomu later in the month, and continuing my biweekly post over on Totally Tots. Hope I can get it all done! I just might be encouraged enough to get all that done before June. 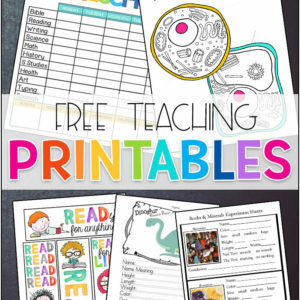 where you can print it out for your own kiddos to try! have a large classroom too! What Easter Crafts do you have planned this year? Today I’m participating in Spell Outloud’s Birthday Bash! I made a special party favor just for Maureen who is hosting a a week of giveaways and free printables to celebrate! This ia a file folder game for children to sort balloons into primary or seconday color bunches, and it’s perfect for your little budding artists! This game is not on my site, its just for her party so visit her site to download the game! There are some other wonderful party favors to take home, as well as a few more to come so follow Spell Outloud for updates! this time we learned about Vincent Van Gogh and Henri Matisse. All instructions are up on the main site as well as printable artist cards for each artist! Stay Tuned or Subscribe for more Crafty Fun! 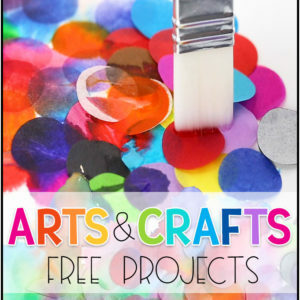 I just finished uploading two more of our Famous Artist Crafts! they loved blowing with the straws! for an art project, but they were in dizzy oblivion. who found it daunting to color in one color for each open space. some adorable cupcakes or some sneakers! Older children can design their own! Eveything is uploaded to our Famous Artist Craft Section! Spelling is supposed to be fun! Time for Homeschool Recon: Spelling! So Sissy (8) has a brand new Language Arts Curriculum that I’ll be posting about shortly, which includes her spelling resources. But Bubba (5) was in need of his own spelling program…..somthing fun to keep the boy busy, and learning at the same time. So you know, of course that I just had to make him something. So for the little fella, I came up with an easy to follow 5 day spelling program. Nothing fancy, but lots of fun. I posted all about it here, with details and links to the specific resources we’ll be using. These are super adorable when you cut out the window and put your child’s picture in! I’m sure I could use a few more ideas for these rainy Oregon homeschool days! I’m participating in Spell Out Loud’s Birthday Bash! Thanks to everyone for participating in our Teach Me Joy giveaway! Don’t worry if you didn’t win, you can still snag your choice of curriculum while it’s still 20% off! Thanks to Teach Me Joy for such a great giveaway! And Believe it or not, I got an A+. (I know….everyone gets an A in art…..
and they are just the right level for my children. and most importantly, view pictures of their most famous masterpieces. on their specific techniques or style. We’ve been having a blast! picture and facts about the artist. We paste these on the back of artwork. I have more to upload and share soon! Everything will be posted on our Famous Artist Page. been a HUGE blessing for my son! and style we learn about. All over town he seems to find a way to compare posters and artwork to the artists he knows. The boy is 5. and I love it. what he knows to other people. I hate that “look at my smart kid” kinda of feeling. I’m used to that one more…..
or I might never leave the house. And, What does that mean exactly? Well, if you read my previous post, you might be a little more keen to what is going on around here. But basically, I had enrolled Sissy (7) my oldest in an online charter school this year…. as I know this homeschooling method WORKS for many families. But my choice was made out of FEAR…which is never good. And ultimately it didn’t end up working for us. Except for the fact that I withdrew her last month without having a replacement curriculum in place. then something has to be done….differently. but we haven’t exactly settled into a routine. and I’ve found some really great things I’m going to share soon! I’m actually quite excited about it! Phew…I’m overwhelmed just posting that. Life is busy around here. of diapers, colored pencils, and Clorox. So stay tuned for Homeschool Recon updates…. Don’t give up on me quite yet…. I’m sure to have another lucid moment sooner or later! Make Your Own Geo Shapes! But I’m in the middle of Homeschool Recon, and I just don’t think I’ll be spending any more money on math manipulatives this year. I found this fantastic site where you can print a slew of buildable shapes! And Walla! Geo Shapes for tomorrows lesson. I was so excited I had to share! What a fantastic opportunity we have today! 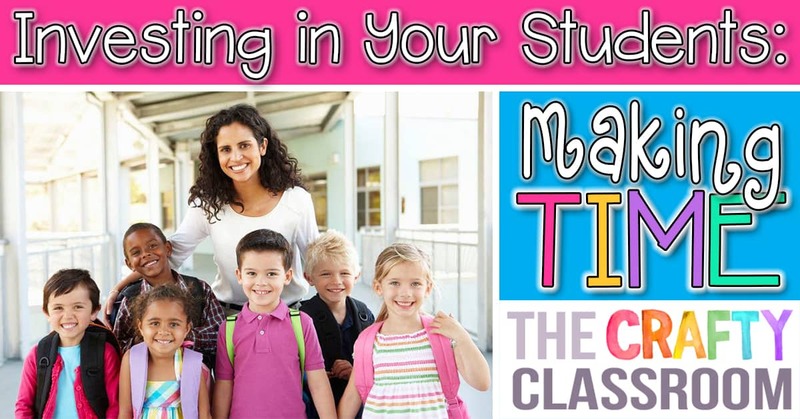 Joy Bryant of Teach Me Joy has created three insightful programs that centers educational themes around important biblical character qualities. 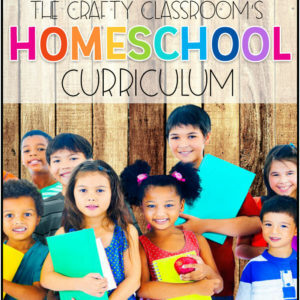 A homeschool program targeting students in K3-K5. The programs Biblical focus is on the Fruit of the Spirit in Galatians. The student will learn Bible verses and stories that teach different â€œfruitâ€ and character qualities. In this program the student will master letter sounds using a vertical phonics approach. Math concepts cover counting, number recognition, colors and shapes, measurement, ordering, and more. They will explore the body, nutrition and healthy habits for science. Each lesson tries to target different learning styles. 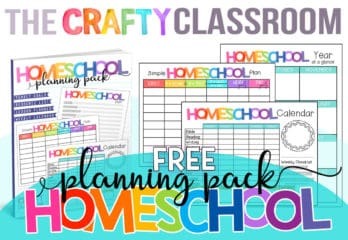 There is a variety of different worksheets and activities to keep learning fun and engaging. There are â€œBigger Stepâ€ options for those students who are ready to do some book work and are ready to read. Don’t you just want to get your hands on these? Joy has graciously offered to give TWO winners their choice at the above packages! Yup, that’s right! Your choice! 2. Leave me a comment below with the curriculum package you would choose if you won. Contest is open until Friday March 11th! Winner will be drawn at random and this post will be updated.